April is upon us and that means summer is closer than you think. Even with a bunch of projects and finals between now and then, it’s a perfect time to start preparing for the summer! Using your summer to take courses isn’t exactly the coolest sounding thing to do, but being able to graduate a semester or two earlier gets you that much closer to making real money. Worried about the bill for summer classes? You are able to use financial aid to cover it! Be sure to fill out the Summer Aid Application on your myPurdue account. Without the summer aid application, the Financial Aid office won’t create an aid package for you even if you’re enrolled in classes. You can fill the application out whether you are taking classes on-campus, online, or for study abroad! 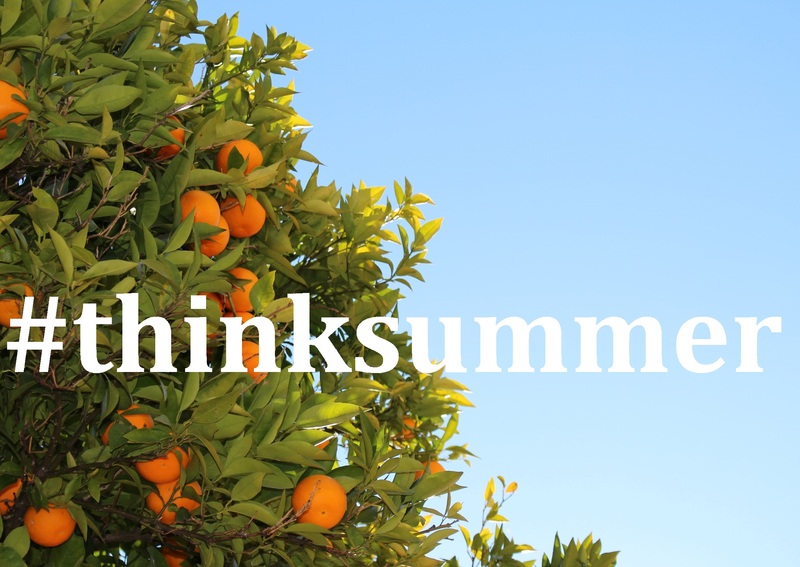 In addition to the Financial Aid office’s aid, if this will be your first time taking summer courses or you are a going to be able to graduate in August, you should check out the ThinkSummer website for the Summer Stay and Summer Finish scholarship applications. Another classic summer option that might make your parents proud: get a job! Due to the large-scale migration out of West Lafayette in the summer there are plenty of job openings both on and around campus. Check out either the Financial Aid or Student Employment job boards to see what’s open and apply ahead of time. The summer is prime time to find a job that can net you full days of hours which in turn can make a nice paycheck. If you spend the money you earn wisely, you can set yourself up with a nice savings safety net, reduce your student debt, or even have a little fun with a big purchase you haven’t had the funds for. Besides working and class, don’t forget to have some fun! Summer represents the prime months to enjoy the outdoors around West Lafayette. Whether you’re looking to get out and hike in the parks, visit the Wolf Park, or local Prophetstown State Park there’s plenty to do. So pause Netflix for an afternoon and do something you wish you could’ve been doing during the winter! Remember that State Street is going to be worked on continuously throughout the summer. As it’s the main route cutting through campus, you’re probably best off if you can find ways to avoid it entirely. If not, just check out http://statestreetwl.com/ to see what sections are currently open and what the current traffic conditions are. The Great Debate: Living On-Campus or Off-Campus? Where you live and who you live with can be one of the most important decisions you make each year. There are benefits and drawbacks of each option, but the best choice varies for each person. Taking stock of what you want in your housing, how you’re paying for it and the various perks it offers can help you find the right spot to call home for the next year. While residence halls (dorms) are often the go-to for first-year students, they are not mandatory to live in. Apartments and houses are available for incoming students off-campus too, but often you’ll need roommates and finding them when you’ve only been to campus once for a tour can be difficult. But no matter how long you’ve been in school, it’s a decision you have to make every year and a little comparison can only help you make the best choice for you! One of the main differences between living on-campus & off-campus is the distance from your classes and buildings you need to visit. Living on-campus puts you in the closest proximity for getting to your classes, going to the co-rec, or making it to meetings with your advisor. Depending on how far you live off-campus this may or may not be an issue. If you live across the street from campus this is basically on-campus. However, if you’re a ways away you’ll have to rely on the buses, biking in, driving (if you’re quite a distance away), or just hoofing it. Unfortunately all of these options become a lot less fun when the weather goes cold. Comparing prices between on-campus and off-campus can be difficult since there’s a wide range for both choices and difference in how you have to pay for them. On-campus residence halls and apartments are generally going to cost you more than living off-campus. However, the big difference many people neglect is how you pay for them. Payment for your housing (and meal plan) is due at beginning of the semester along with your tuition if you live on-campus. If you live off-campus in a house or apartment you will be making a payment each month. These monthly payments are typically much easier to pay out of pocket rather than having to come up with a whole semester’s housing all at once. If you’re living off-campus, you’ll also want to pay attention to your utility bills in addition to your rent – a problem that living on-campus doesn’t have as it’s a fixed rate. Paying for things like heat, electricity and internet can bust your budget if you had not factored them in. Additionally your laundry situation can involve many things including nothing in your place, having coin-operated machines, or even the mythical free-to-use machines in a place where you don’t have to pay utilities. One cost that you’ll have to pay for whether you live on or off-campus is your food. There’s no difference in the rates for meal plans where you live, but if you don’t live close to campus your plans to eat every meal in a dining hall probably won’t end up happening. As previously mentioned, your cost for a meal plan is due up-front at the beginning of the semester. Even if you have a meal plan it definitely won’t be your source for 100% of your food as you’ll probably buy snacks, go out to eat at a restaurant or grab food to go from another source at some point. Possibly the biggest make-or-break part of anywhere that you live is your roommate. Rooming with someone you never met, or even your best friend, can be extremely difficult. Whether it’s sleeping a few feet from them in a dorm room or just sharing a kitchen and living room in an apartment, roommate issues are a frequent source of contention. While you do have the option to have your own place, it comes at a considerable cost both on and off campus. The showering situation in the residence halls might get a bit of flack but sharing a shower with a few of your friends and not cleaning it properly or often enough can make its own frightful situation. The last major consideration is whether you plan on being around during the summer for classes, internships/ jobs, or just because. Most off-campus contracts are year-round so if you’re splitting back to your family’s home once classes end you’ll still be paying for your place at school. However, living in a residence hall and having summer classes can put you in a spot in having to find a sublease too. While it’s not usually too hard to find options since so many students would rather have someone sublet from them than have to pay their rent during the summer it’s not always the easiest to find a perfect situation to slide into. Remember, you can use your financial aid to pay for living both on and off-campus! If you live on-campus you’re billed for housing along with tuition and it is due when classes start. This makes it extremely important to have your aid lined up for the beginning of the semester. If your aid doesn’t cover everything that you owe, you’ll need to find a way to cover the difference or create a payment plan with the Bursar’s Office. Any extra aid above what you are billed (whether you live on or off-campus) will be refunded to you. If you’re living off-campus it’s usually a good plan to put this toward your rent. Paying ahead can be great for lifting any worries for a while, just be sure to get a receipt if you do! Hey Boilers, have you really been living up to the #thinksummer ideal this summer? Don’t worry, it’s only the end of June so if you’ve just been lazing around for the past month…there’s still hope! We’ve compiled a list of ideas of summer-long projects for you to pursue. Sign up for a local class that interests you (even if it’s unrelated to your major and especially if it’s fun!). You can gain a new skill that you wouldn’t be able to during the school year. Become a regular volunteer in your local community. Numerous non-profits need help every day and you could be just the person they need! Reach out to your local United Way or another community foundation to see where you can lend a hand. Train for a 5K or a marathon! This is a tough challenge, but the dedication it will take you to accomplish this goal will teach you both self-discipline and time management – two things every college student desperately needs! Tackle a summer reading list. This can be fiction, non-fiction, or both! Do some fun reading or challenge yourself to read one book a week until the end of summer. And if you can’t come up with books to read on your own, there are plenty of reading lists already out there waiting. Pick up a part-time job, if you don’t already have one. Earn some money this summer! Even if your job isn’t related to your major or career goals, every job has some transferable skills that you can use later in life. Learn to cook! This is a skill you can use for the rest of your life. If you’re at home this summer see if your culinary-inclined parent can teach you to make your favorite dishes of theirs so you can recreate them when you’re on your own in the fall. And make sure to use Pinterest to find something new and adventurous to make at least once. Compile your resume. What’s missing? Try to find opportunities to fill in the blanks to make you more marketable to future employers. Start an Etsy shop! This is for the crafty ones out there. Not only can you make fun crafts all summer, but you get the chance to learn how these small businesses work and you may even make a profit!